includes a main receptacle, a secondary receptacle and a sauce pot. you bring your lunch to work because you can't stand the cafeteria and there are no appealing alternatives nearby. 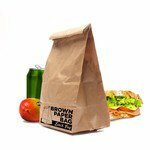 for some time you have been thinking of trading in your old tupperware for something newer, prettier, and more practical for bringing you lunch with you. you are captivated by the Japanese bento concept, which offers a whole new angle on lunchtime eating. The Lunch Box Appetit is a Tupperware-styleall-in-one box but better, with a ceramic dish that is much more rigid—ideal for carrying along a balanced meal. It is also watertight for easy transport. three compartments: the main compartment can be used by itself, if desired. The second compartment fits into the main one, taking up about half of the space. 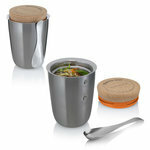 Finally, there is a small sauce pot (for your salad dressing, soy sauce, mayonnaise, etc). 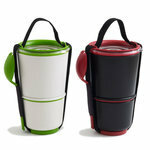 keeps the hot hot and the cold cold: the different compartments allow you to separate hot and cold foods. preserves food: if you decide to pack a portion of a main dish with a side of pasta or other starch, being able to keep foods separated makes it easier to keep them fresh and appealing. Your dish will look like it was just served and not like mush. With the salad dressing in a separate container, you can dress your salad just before you eat, that way your salad will be crispy and appetizing. sushi fans: you are crazy about sushi or other bite-sized treats? 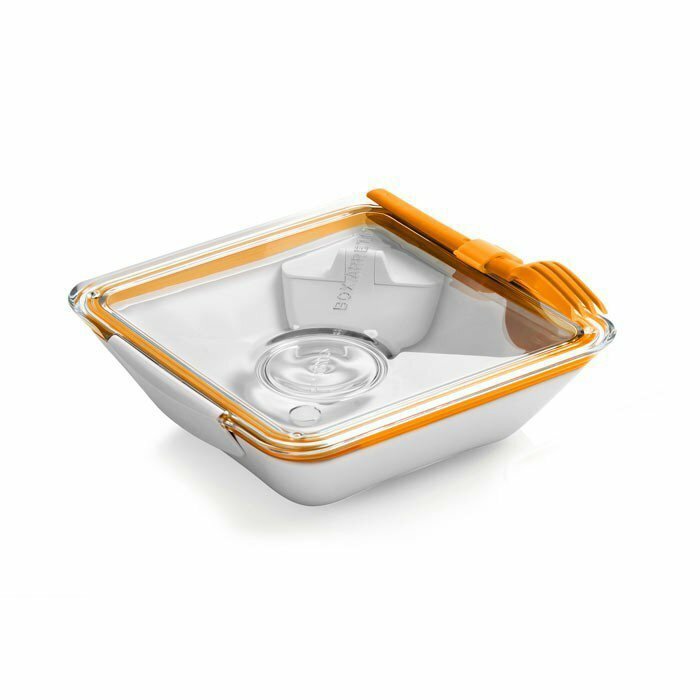 The Lunch Box Appetit includes a little dish molded into the underside of the cover so you can dip your delicious morsels. the knife fork : no need to lug around silverware, the right side of the fork that comes with the box is made to cut food. easy to use: 2 clicks open and close your lunch box, which is watertight thanks to the seal that runs around the edge of the cover. You can put your Lunch Box Appetit in the microwave to heat up your food (but not in the oven). A valve releases the pressure that builds up when the food is heating. A plastic clip allows you to snap your "knife-fork" or your chopsticks onto your box, making it that much easier to carry around. easy to clean: your Lunch Box can be washed in the dishwasher like any other dish. The French don't usually bring their lunch along with them to work or school, a custom found more often in English-speaking or Asian countries. The British bring along their sandwiches wherever they go, and the Japanese enjoy the art of bento. Very much in style in the West these days, the bento is the equivalent of the French gamelle or an American lunch box. However, it has its own unique qualities: a variety of dishes that fill you up despite their small quantities, and an impeccable and elegant presentation. Bento boxes have several compartments. They can be in plastic or wood. Japanese fast food outlets also offer bento to-go. 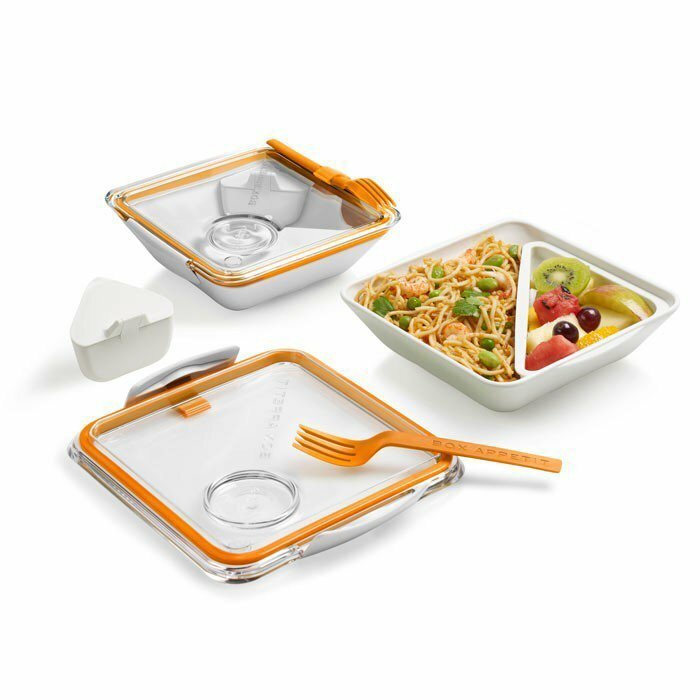 pretty: this bento lunch box has a pretty, modern design. A meal that looks good is all that much more satisfying to the eyes as well as the stomach. functional: ever so practical, this lunch box is very well thought out and makes preparing and transporting your meal easy. fun: they don't want to go to the cafeteria any more? Lend them your bento box and not only with they eat something other than a sandwich for once, but they will also have a great time using their box.